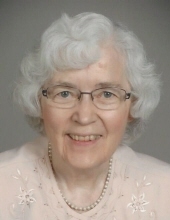 Nancy M. Glaue, 78, of Peoria, IL died August 5, 2018 at the OSF Richard L. Owens Hospice Home in Peoria. After battling both a rare Uterine Clear Cell Cancer and Parkinson’s Disease, she went home to be with the Lord after several months of her diagnosis. Nancy is preceded in death by her parents, Fred and Helen (Gage) Anema, and one daughter, Anita (Glaue) Johnson in 2008. She is survived by her husband, Edward and two sons, Timothy (Laura), Russell (GeeMin), and son-in-law, Brian (Anne) along with 9 grandchildren. Nancy was born on Flag Day, June 14, 1940 in Elgin, IL, the oldest of 6 daughters (3 of them triplets) to Fred and Helen (Gage) Anema. Nancy played an important role in their family maintaining a house of young ladies while her dad was dairy farming and her mom was teaching in the local Elgin school system. In 1958, Nancy graduated from Momence High School, Momence, IL, later attending Wheaton College, then eventually graduating from Olivet Nazarene University in Kankakee, IL four years later. Accepting eventual marriage through mail correspondence, Nancy and Edward E. Glaue were married in Momence, IL, June 30, 1962. Edward (Pete) was stationed at the Alameda Naval Air Station on San Francisco Bay in California and Nancy, after attending College, used her Bachelors Degree in Teaching in the California school system. After a number of years as a stay-at-home mom, Nancy acclimated back into the workforce as a 4th grade substitute teacher for Peoria Christian School before eventually becoming an infant care specialist at PALS for 22 years. With Edward and her three children, Nancy has been a member of Bethany Baptist Church, Edwards, IL since 1979. She worked in the kitchen, nursery and AWANA programs. Nancy was a selfless and devoted wife and mother. Nancy accepted Jesus as her Savior when she was young and was a very honest and caring person to all who knew her. She was a strong, principled Christian woman who treated everyone fairly, always finding the good in others. A funeral service will be held on Saturday, August 11, 2018 at Bethany Baptist Church in Edwards, IL at 3 p.m. with a visitation one hour prior at the church. Memorials may be donated in her name to the Peoria affiliate of St. Jude and the OSF Richard L. Owens Hospice Home in Peoria, IL. To send flowers or a remembrance gift to the family of Nancy Glaue, please visit our Tribute Store. "Email Address" would like to share the life celebration of Nancy Glaue. Click on the "link" to go to share a favorite memory or leave a condolence message for the family.